The upcoming season will center on Wright’s Claire as she will begin her stint as Commander-in-Chief after serving as Vice President to Frank (Kevin Spacey). “House of Cards” releases its first-look images for the sixth and final season. 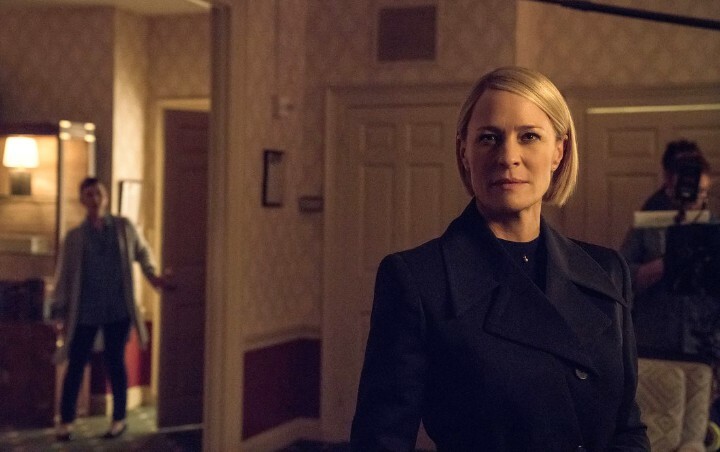 The photos see Robin Wright‘s Claire Underwood assuming the presidency, taking over the role which is left by her husband Frank (Kevin Spacey). The first photo features Wright, sporting a full Claire look, in the show’s familiar muted, earthy tones. She dons a black coat with matching top underneath while staring straight at the camera. It looks like she’s in a bedroom or in the White House. The other image, which is also a behind-the-scenes photo, features Wright in the Oval Office. Donning a navy blue ensemble, Wright can be seen talking to director Alek Sakharov, who has worked on three previous episodes of the series. 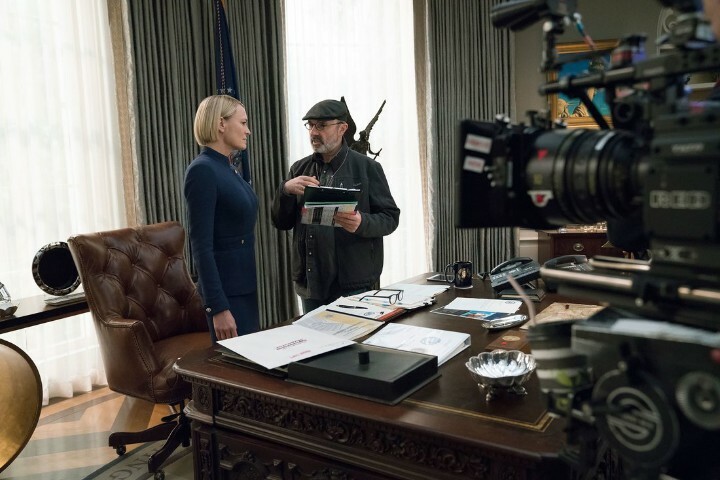 Robin Wright is talking to director Alek Sakharov in first-look image of “House of Cards” season 6. The upcoming season will center on Wright’s Claire as she will begin her stint as Commander-in-Chief after serving as Vice President to Frank. Frank resigned from the office following his numerous illegal actions. The decision to make Wright as the sole lead in season 6 came after Spacey was fired over multiple sexual harassment allegations against the actor. In addition to some “House of Cards” crew members, actor Anthony Rapp was among people who came forward with sexual misconduct allegations levelled against the Oscar-winning actor. The production of season 6 of the political drama began earlier this year, aiming a 2018 premiere date.